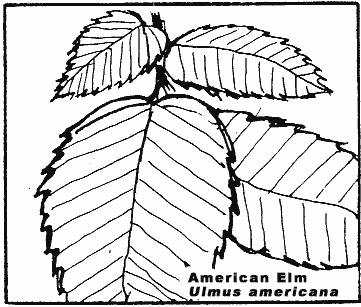 Comments: Deciduous, native of eastern North America. Fast growing and can reach 100' or more with nearly equal spread. 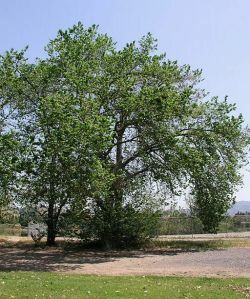 It is subject to the deadly Dutch Elm disease. Leafs out very late where winters are mild. Fall color is yellow. Has pale green papery seeds in spring. This specimen is located at the back of the park overlooking Shinn Pond.